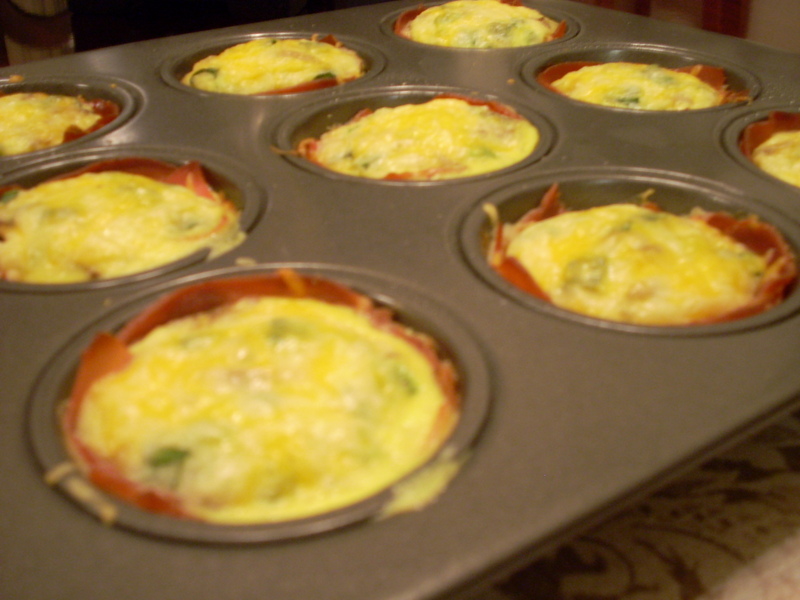 When I made these, I thought of my friend Rosi who is opening up a bed & breakfast – they would be perfect for breakfast or brunch, and so easy to make ahead of time! 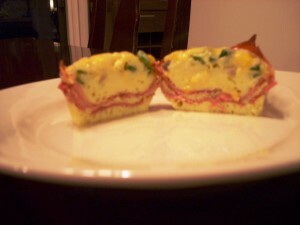 Another friend of mine, Lisa Johnson, sent me her recipe for Egg Muffins…I tweaked it a bit (as I am known to do, ha!). Each time I make them I change it up a bit. Today, I used prosciutto, finely chopped green peppers and mushrooms, 4-cheese blend and green onions. PAM spray a muffin/cupcake pan. 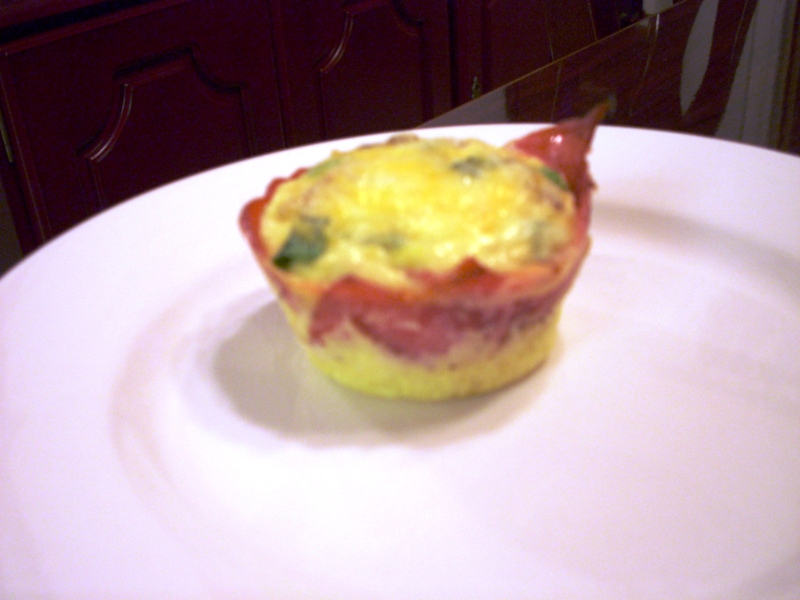 Line six cups of the cupcake pan with the prosciutto, pressing in to form a shell. Whisk the eggs, cream, garlic and pepper until fluffly. Pour evenly into the cups. Top with the cheese and green onions. Bake for 17 minutes or until toothpick comes out clean. Do not overcook! I am already thinking of lots of other ways to make these… a Mexican version, Italian version, Cajun version, etc!